The Law Court at the University of Hertfordshire is a £10M building with advanced facilities, including a full-scale courtroom with public gallery, a working law clinic, a purpose built mediation centre and a dedicated CPD suite, as well as a large number of offices and classrooms. Aiming for BREEAM status, the building was to be naturally ventilated. 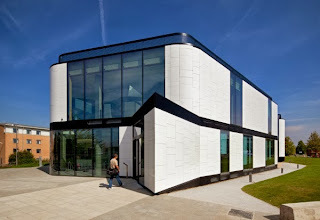 MACH Acoustics provided a vented facade solution using weather louvres, connected to a raised, vented floor containing the NVA. 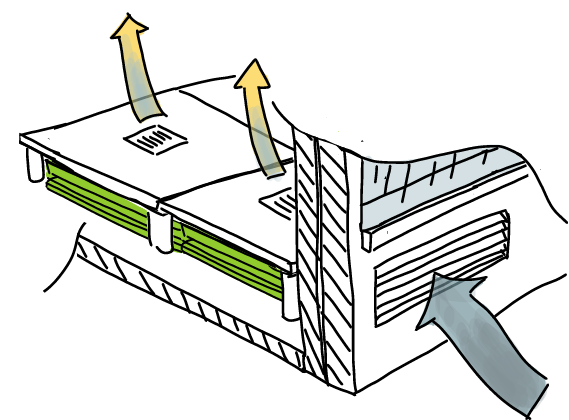 Situated on a busy campus and next to a busy bus route, the natural ventilation strategy need to be acoustically attenuated. 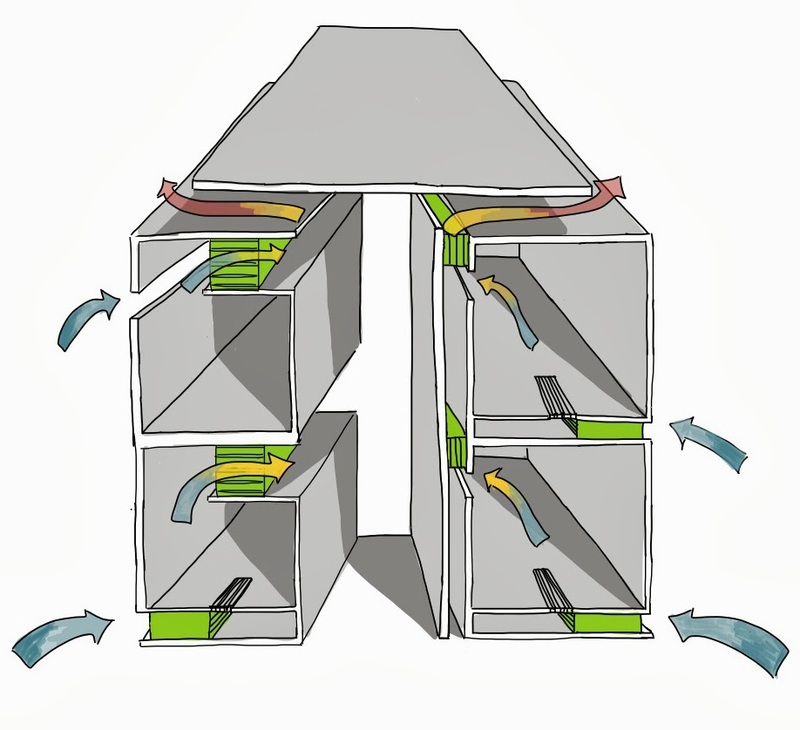 Adding to the challenge was the fact that the building had already be designed for air inflow through the flooring, with acoustic dampers, louvre and bird mesh limiting flow to an already small 1.5m2 face area. Only thanks to the adaptable NVA foam, MACH was able to design the attenuator around modulated Kingspan flooring, sitting on pedestals 360mm high, fully filling the void. The profile was designed to the same size as the 600x600mm grid created by the flooring, such that the NVA would be easy to install. By installing in segments like this, we were able to create the required length of attenuator for the noise level at the facade. 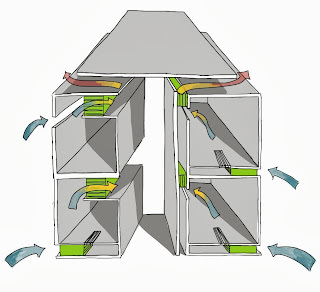 The vent openings are made within the spandrel panel between transoms. Air passes into the cellular space by passing through a external vent opening, through the NAT Vent Attenuator. 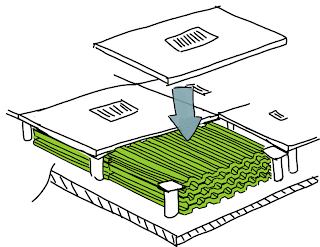 The floor void is used as plenum - air enters the rooms above by means of floor diffusers. Building services often exist within the flooring void, including a heated element in this case. The NVA foam can be easily adapted on site to accommodate for these items, unlike a common pre-defined attenuators. The build meet the BB93 and BB101 requirements as a teaching space whilst creating a dynamic and pleasant space for students. 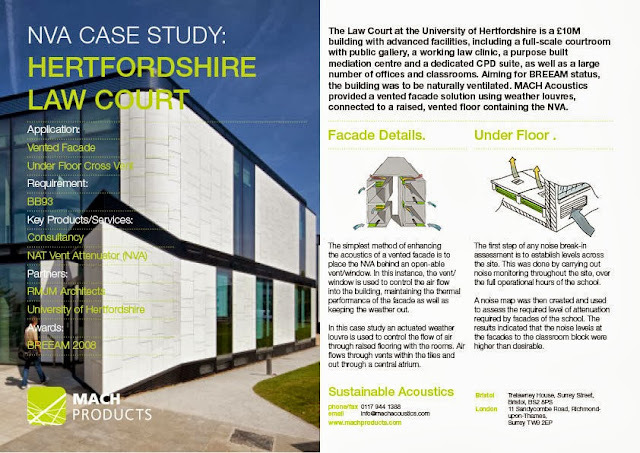 MACH Acoustics and it’s partners helped the centre become one of the most innovative law schools in the UK and was recently awarded ‘The Most Sustainable Construction Award 2011’ by Building Futures and has been short listed for several other awards.